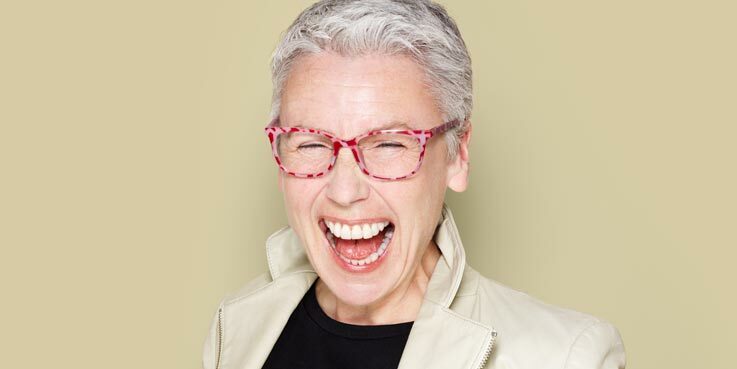 At Specsavers, if you buy a single pair of glasses from our £69 range or above, we’ll fit 1.5 Standard varifocal lenses, usual price £49, free. Alternatively, if you prefer any other varifocal lens you can still save, with a £49 discount. Choosing a more advanced varifocal lens will mean a wider field of clear vision at distance and intermediate than standard lenses and they are easier to adapt to. All our lenses include a scratch-resistant treatment at no extra charge. We offer fashionable varifocal-friendly glasses at affordable prices and because we add new styles to our range every three months, you’re sure to find glasses that suit you. Finding the right varifocal glasses can be difficult, given the variety of different styles and shapes available – do you suit classic frame styles? Or the latest designer chic? Will the frames be compatible with varifocal lenses? That’s why we have expert frame stylists in every store to ensure you find frames that suit you and your lenses. They will help you understand your face shape and suggest the frames that work for you. So you can be sure you’ll get the perfect pair of varifocal glasses. Presbyopia is a natural part of the ageing process. As we get older, the crystalline lens at the front of our eye loses elasticity. This makes it harder to focus on things close up, like your reading, and the eye also struggles to focus quickly between near and distant objects. One way to deal with presbyopia is to wear varifocal lenses. Cannot be used with other offers. £69-£169 ranges: include 1.5. Standard varifocal lenses. £169 Fineform and Rimless ranges: include 1.6 Standard varifocal lenses. All lenses are scratch-resistant. Extra Options available at an additional charge. Subject to suitability.